Chiropractors are constantly battling for the attention of prospective new patients, both offline and online. With more people than ever researching on the Internet – particularly on mobile devices – it’s critical to be visible on the search engines. You may be the best chiropractor in your region. But if you’re not getting found online, you won’t capture the web traffic you need to grow your practice. Pay-Per-Click (PPC) advertising is one way to get found in Google without waiting for the long-term impact of search engine optimization. Assuming you are targeting the right search terms, with the right strategy, PPC is an excellent way to get relevant patient traffic. It’s a way to compete with other practices by giving you the ability to “outrank” them in the paid areas of Google results. This gives you immediate visibility and new clicks to your chiropractic website. 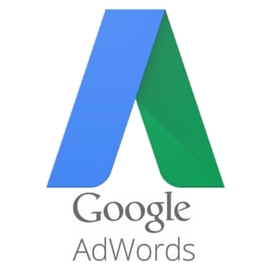 AdWords is Google’s PPC ad service that allows you to “rank” on the first page for a set of search terms. Whether or not you’ll show up for a particular search term is contingent on a variety of factors (read this helpful blog for PPC best practices). After starting your campaigns, you’ll be charged each time someone clicks on your ad. The main benefit of PPC for chiropractors is that you can start generating leads quickly. The minute you launch your campaigns, you’ll start getting your practice name out in front of an eager, information-hungry audience. Unlike traditional media buys in radio, TV, and print, you’ll serve advertising to people who are using all types of devices. Encourage phone inquiries from mobile users who call your practice directly from their phones. Drive qualified website traffic that encourages users to engage with your chiropractic website. One of the first steps to running a successful PPC campaign is to scout your competitors. To do so, just perform a simple keyword search. Simply open your search engine of choice and type in your jurisdiction + chiropractor. For instance, you could type “Nashville Tennessee Chiropractor.” You’ll see the top two or three listings with a yellow box next to them that reads “AD.” If there are enough chiropractors bidding on that search term, you will also see ads along the right-hand side of the page. Do you see any competing chiropractors? If not, there’s a good chance they’re not running PPC campaigns. Depending on the competition, there may be an opportunity for you to dominate this real estate with high ad rankings and low costs per click. If you plan on running PPC marketing campaigns on your own, it’s important to understand the metrics that involve managing them successfully. If it’s not something you’re well-versed in, you can run through your budget quickly, without much result. If you have a provider run your campaigns for you, there are a number of things to keep in mind. One big question is whether your prospective provider has the ability to sync your PPC campaigns to your other online marketing strategies. Your website, content, and organic SEO efforts should work in harmony with your paid ad campaigns. How do you see PPC benefitting my chiropractic practice? 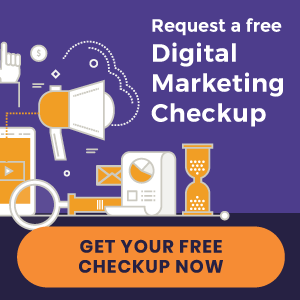 Do your PPC specialists have experience running chiropractic campaigns? Do you offer monthly reporting that proves my return on investment? Do you provide ongoing management of my account to optimize future success? Still have questions about PPC for chiropractors? Learn how to supplement your online marketing efforts with an integrated PPC strategy.